It’s this special time of year when we take a break. Time to recharge the batteries and escape from the every day school routine of our boys. We are not leaving very far away or taking world trip, nope. 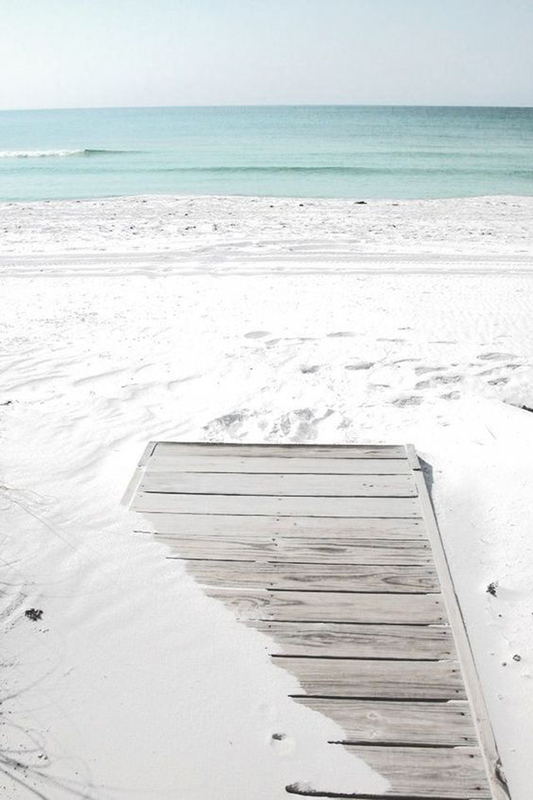 We are going to visit our family and friends and spend some good days on the beach…. but we're looking forward to coming back refreshed, inspired and ready for good Autumn/Winter season. If you will miss Rafa-kids a bit, you can find us on Instagram, when I will post few pictures from our travels. Take care , stay safe and see you at the end of August. Thank you all who took part in our Instagram Giveaway . Please contact us at info@rafa-kids.com so we can quickly sent you a little present. It was so nice to receive all the questions from you. I hope I didn’t forget any of them! 1/ sorbet.interiors - Have you always dreamed of being a furniture designer or was there another occupation you wanted to be in? If you had told me few years ago, that I would be a furniture designer, I will not believe you! I have a very artistic background. I finished 5 years art school and then 5 years architecture studies. When I was younger I wanted to be a painter. Architecture was fascinating too and I think I will come back to it one day. I like the furniture design a lot, but running own company is definitely a dream coming true for me. 2/ Linda H - abirdwithafrenchfry_ Where do you continue to get inspiration for your designs? There is so many ways and levels, we get our inspiration from. It is not so easy to answer that question. First one, will be of course our own kids. Watching them grow and realising what they need, is a big input for our design. Aesthetically, together with Arek we admire simplicity of Japanese culture and never get enough of it. 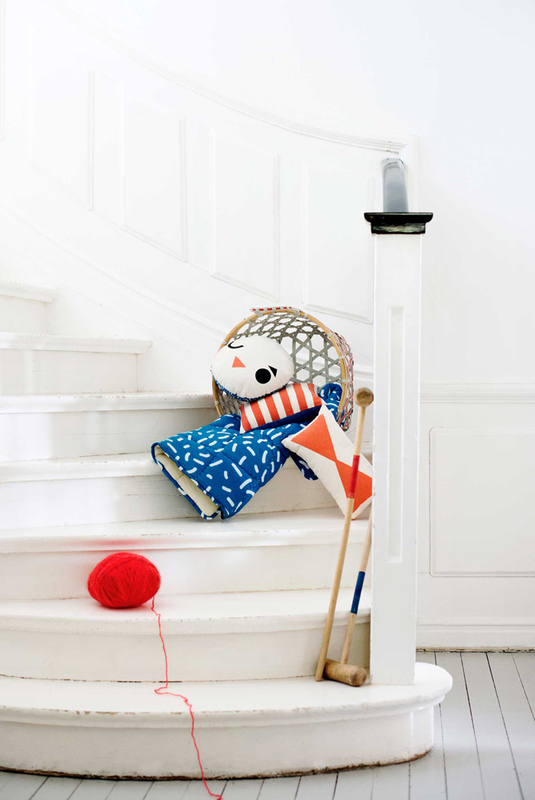 Classic design pieces, Danish design and so much more that we find interesting. 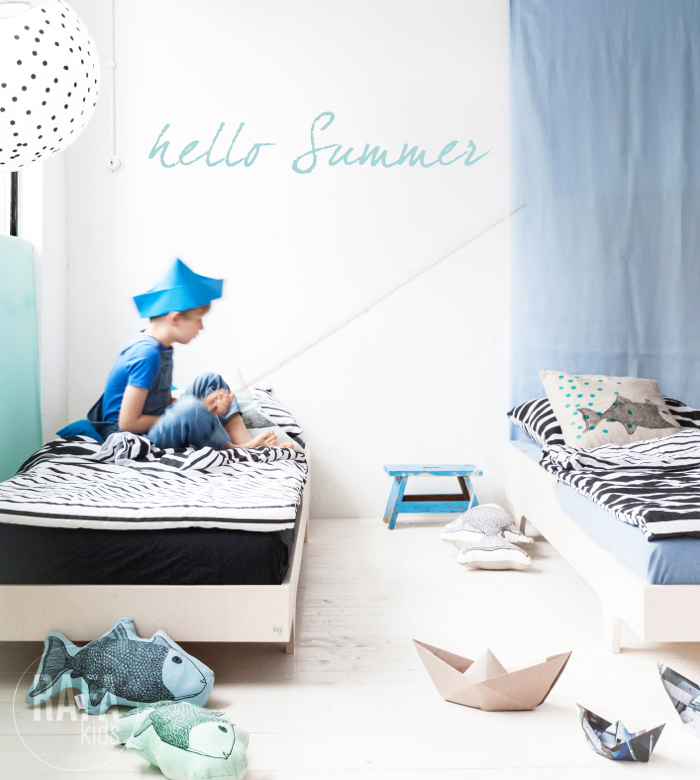 Of course I like to watch interior design magazines, study children rooms around the world, it is so fascinating. You can find me on Pinterest here where I collect all what inspires me. 3/ metmar - As a born and raised inhabitant of Rotterdam-Bergpolder I'm proud that such a beautiful brand is situated in my town. 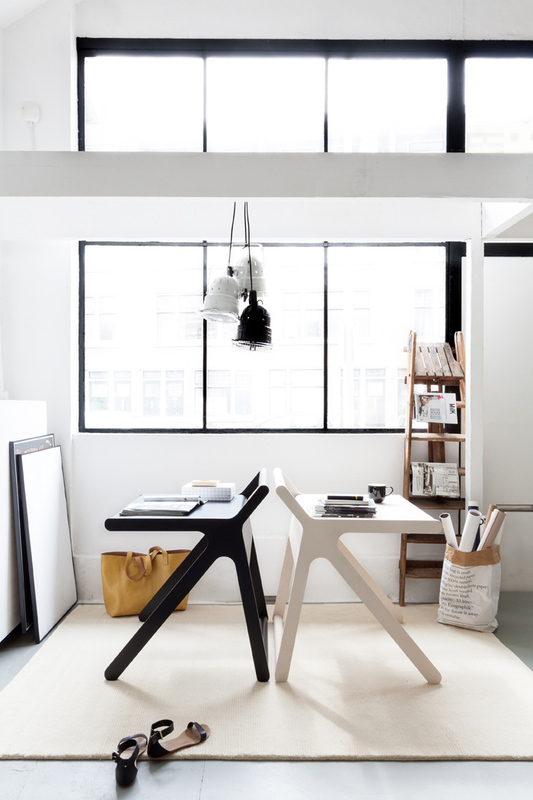 What's your reason to situate your studio in Rotterdam. 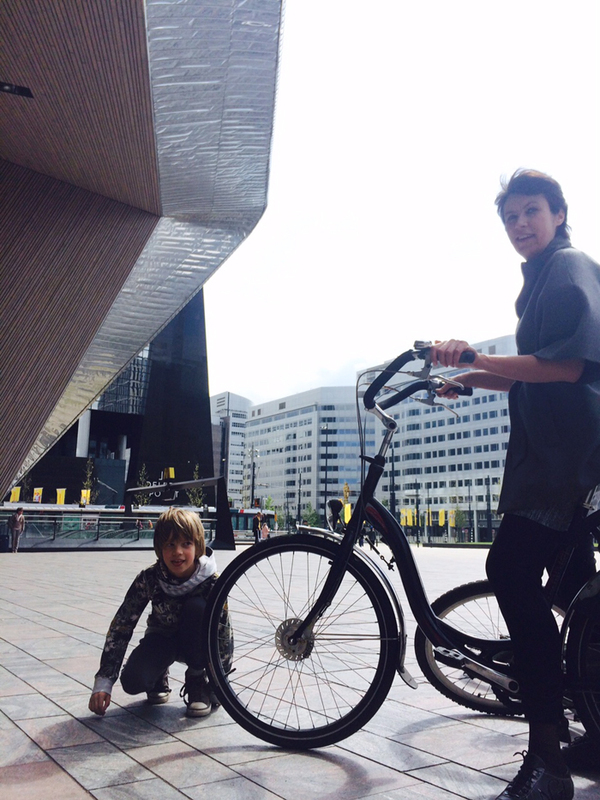 We came to Rotterdam 15 years ago, as an architect students from Poland. We felt the energy of a young city which is brave to experiment and attract people from around the world. We knew it was a place for us! 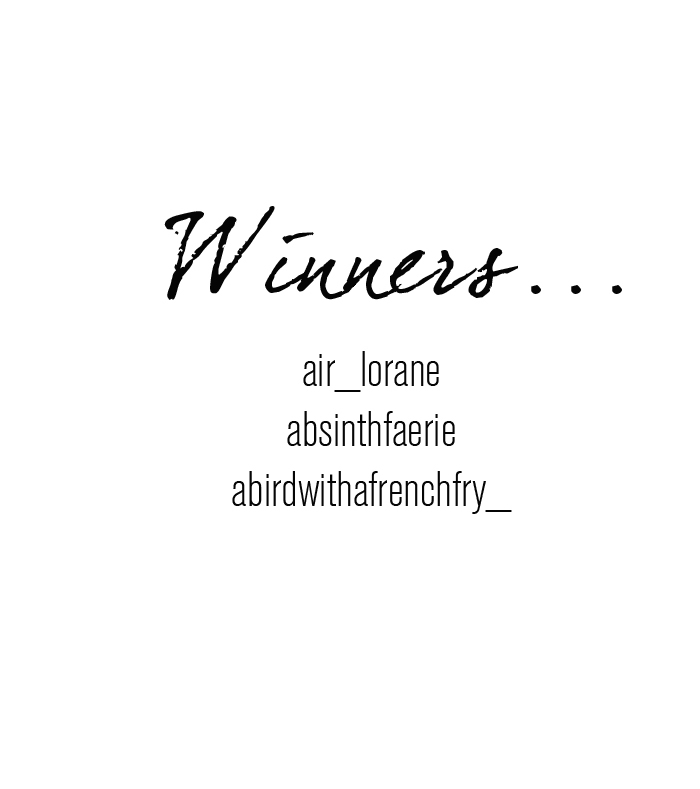 4/ air_lorane Are you both architects ? Did you ever work as architects before? And where are you from? I've seen you speak Czech or Polish? Yes, we are both architects. We started our architecture practise in 2001. We worked more than 10 years in our field before we started Rafa. We are born in Poland and we speak Polish. 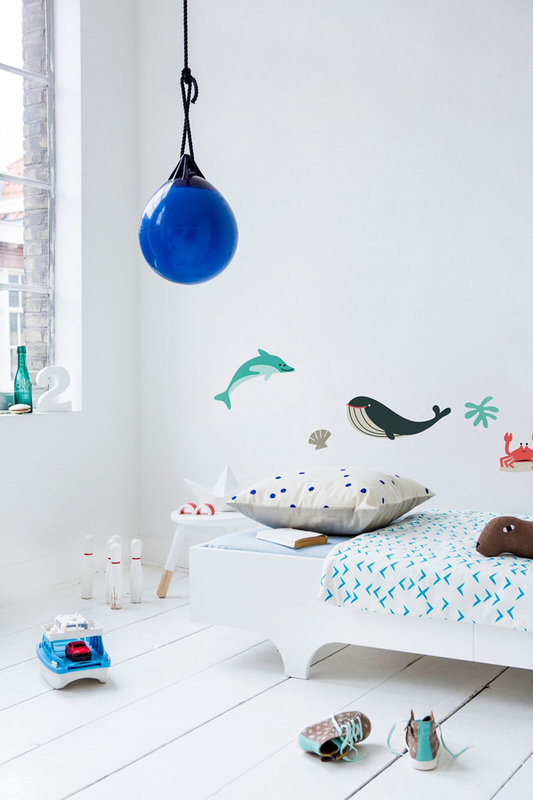 5/ harpatheo - Did your children inspire you to start designing for kid rooms ? Yes, definitely they did. We would not start Rafa brand if not for kids. The first designs were made for our sons. 6/ urfenogel - Did you start your business because the inner child in yourself. 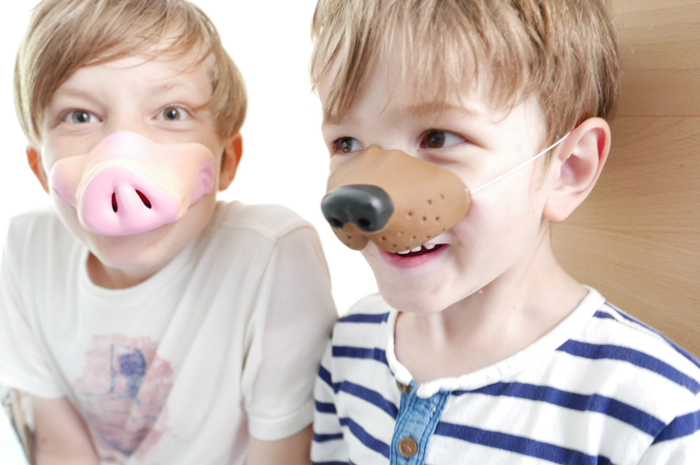 To make it more understandable, would you make these products if you didn’t have children? 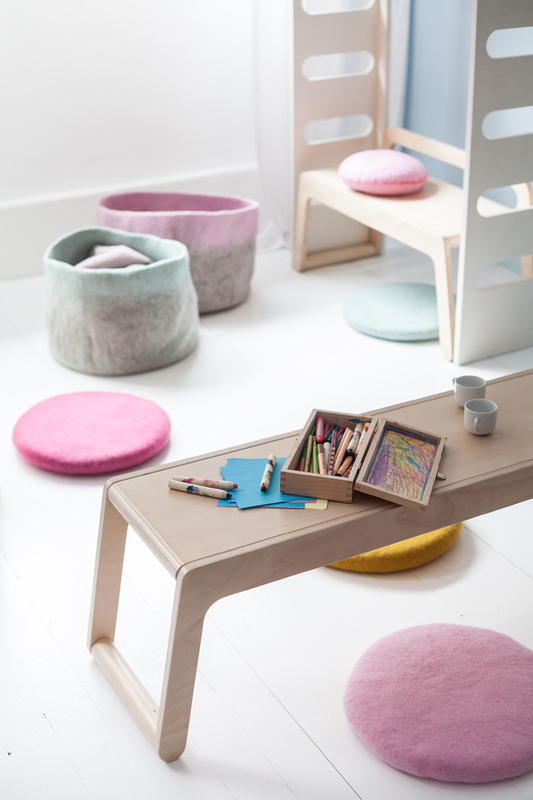 I’m afraid that if we had not have children we would not design furniture for kids. I think we would still work in architecture or real estate. 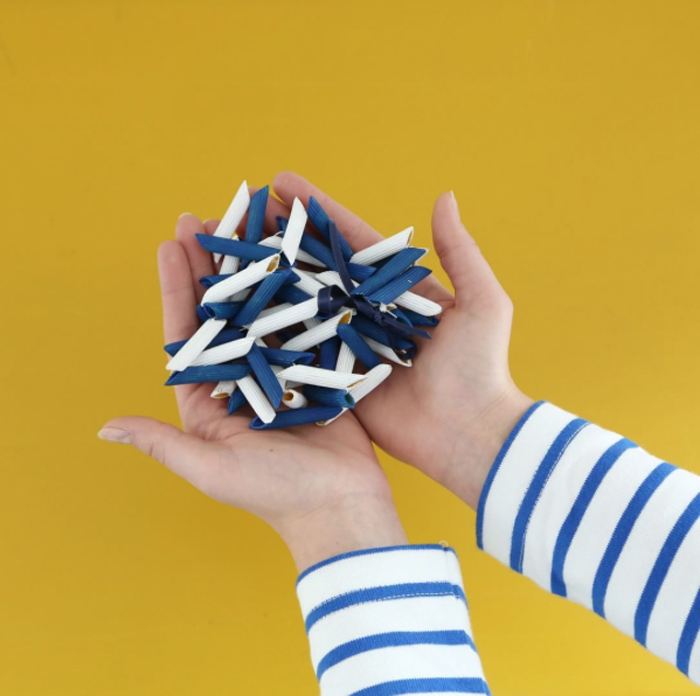 Most likely we would travel a lot and probably already live in another country or continent…..
7 / lourev - Who/what would you say is your greatest inspiration when you design a new piece of furniture? 8/ poissondory Where are the furnitures made? Our furniture is manufactured in Poland. Please see more here. 9 / absinthfaerie - How often (if ever) you have to compromise in deciding about design vs functionality? I don’t think we ever do that. We work as long as it takes to find a perfect balance. It is not like first the form is born and then we have to adopt it to make it functional. We had learn this from architecture so it is a natural process for us. 10/ If u had to choose only one product out of that u make which one would it be? I have a special place in my heart for our Toddler bed. It is for me the favourite one, since the first day I saw it. Perfect combination of cuteness, without being cheesy and modern and playful at the same time. For Arek, it would be the K desk. It took him so many sleepless nights, to solve the issues with the closing lid and how to make it absolutely perfect…he loves to work on this desk himself ;-) black version. 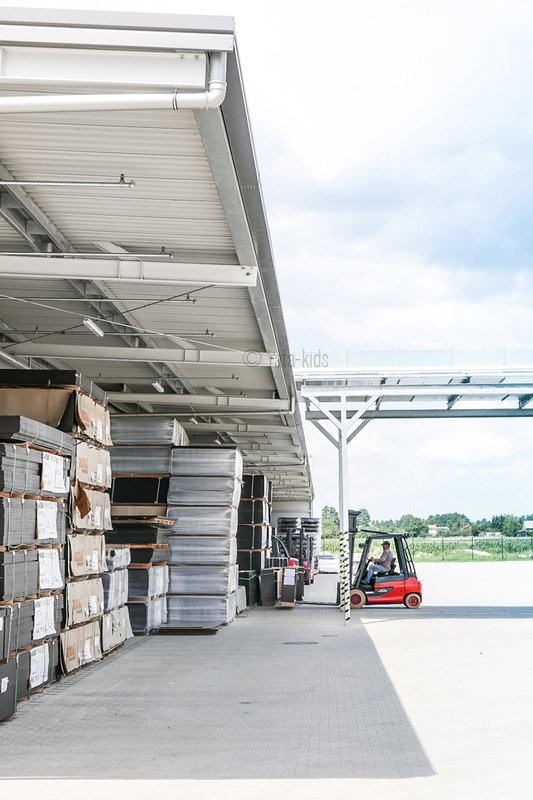 Today I would like to take you on a trip to the factory manufacturing Rafa-kids. Most of the time you see the final effects of our work. 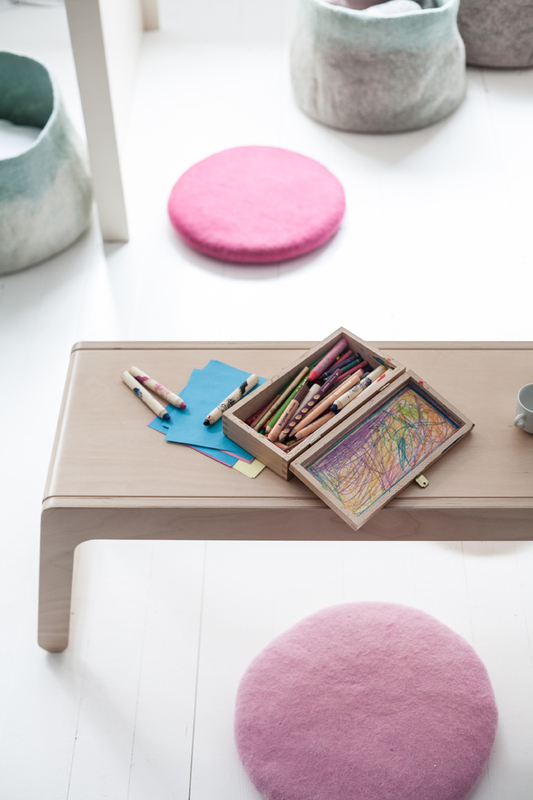 There is so much happening before any of our furniture would reach a child’s room. 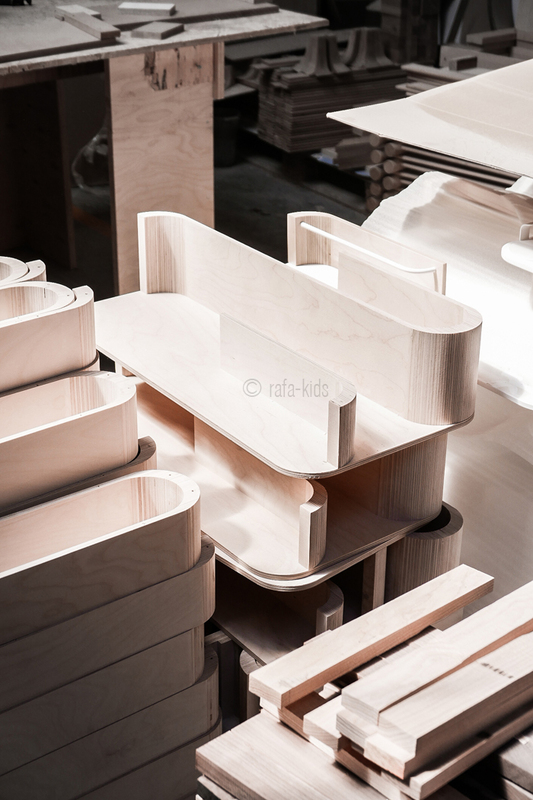 Rafa-kids designs are manufactured by a Polish company that produces furniture for over 30 years. 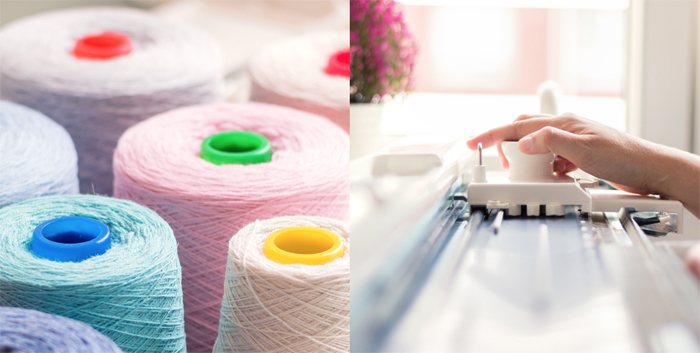 To achieve the quality and level of details we strive for, we needed a partner that was able to work on the highest level. Probably because both our companies are family businesses we understood each other so well from the beginning. 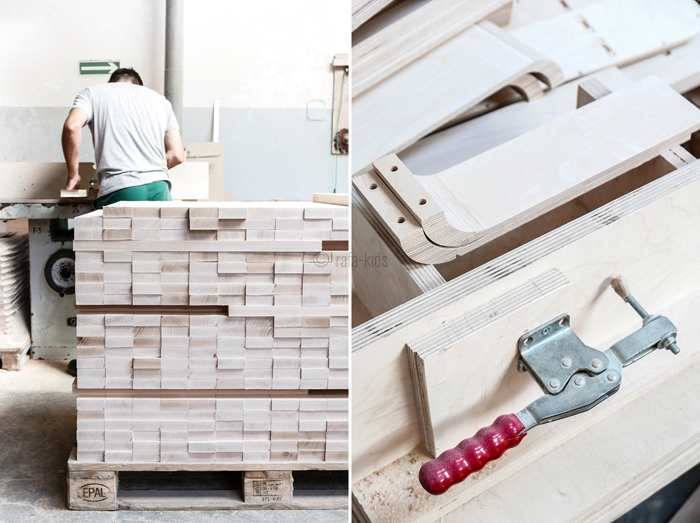 The moments when we can see prototypes of our new furniture in the factory, are actually one of the most exiting ones. We discuss than the technology, production method, best ways to solve issues found in the prototyping. First tryout batch would than be produced, and the right manufacturing process found within the 250 people big factory. 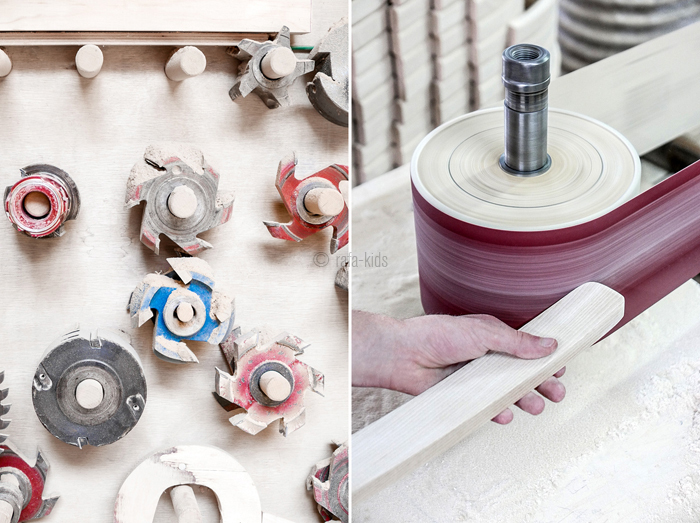 Meantime we would work back in our studio on all the bits and pieces making the product ready for our clients. 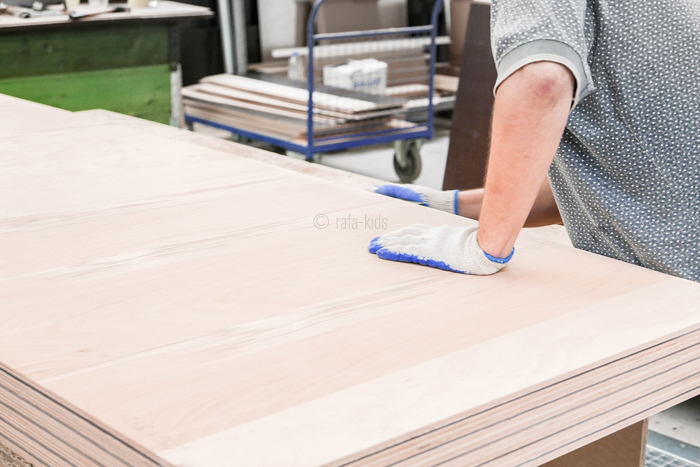 The quality of Rafa-kids furniture couldn’t be achieved without the highest quality material. 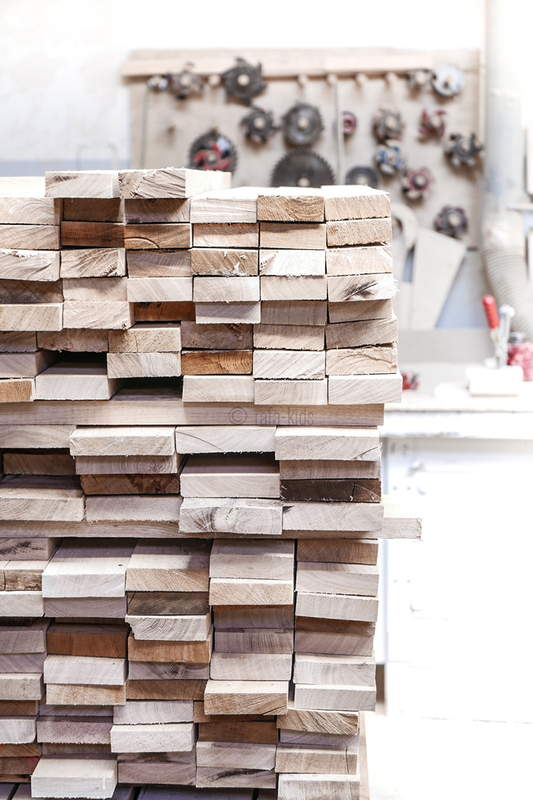 Plywood used to make our furniture is coming from Finish forests where the trees slowly grow in very cold environment. 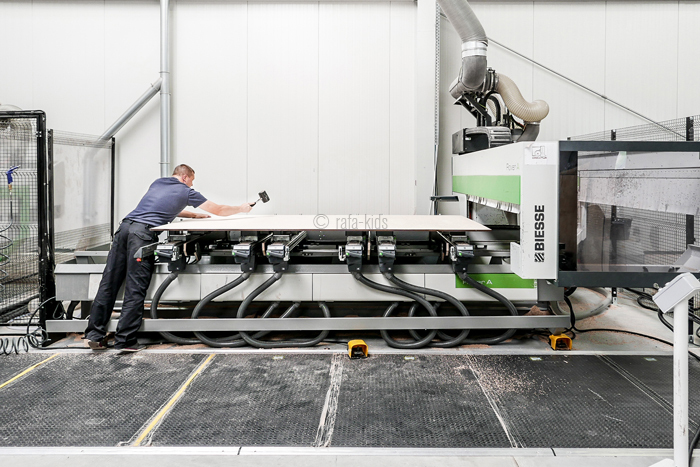 It is the strongest and cleanest birch plywood we could find in Europe. 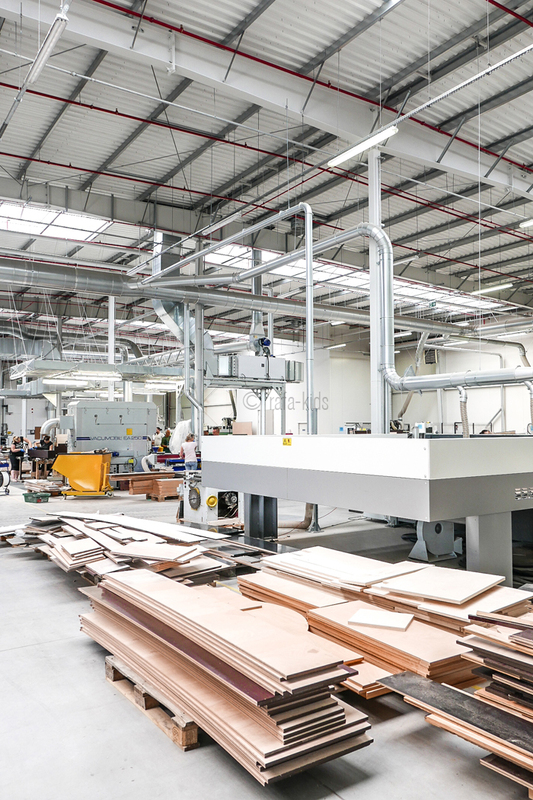 CNC technology used for our production guarantees the highest level of quality and absolutely perfect end result but also great material efficiency. Yes, it is not only about beautifully looking design, it is also about being ecological and good for our planet. B bench and BB bench. We couldn't wait any longer to show it to you! 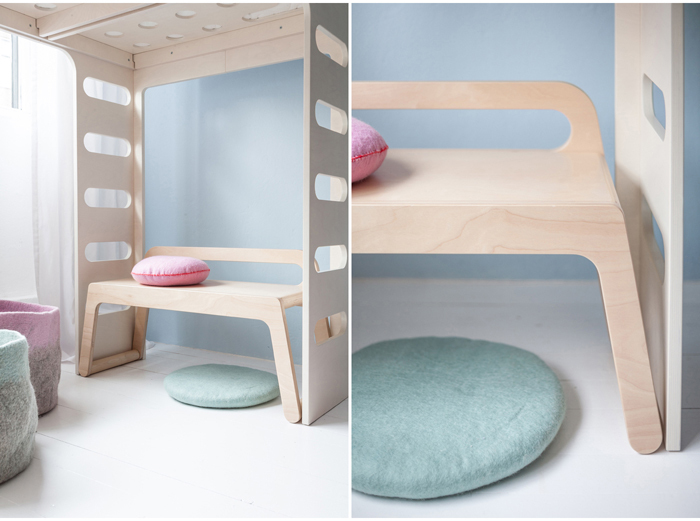 We wanted to create new furniture which would be good to use under our F bunk bed. Fitting exactly between the ladder legs it is creating a new siting/reading possibility for your child. That’s not all of course! Free standing bench can be used by our toddlers in many different ways. 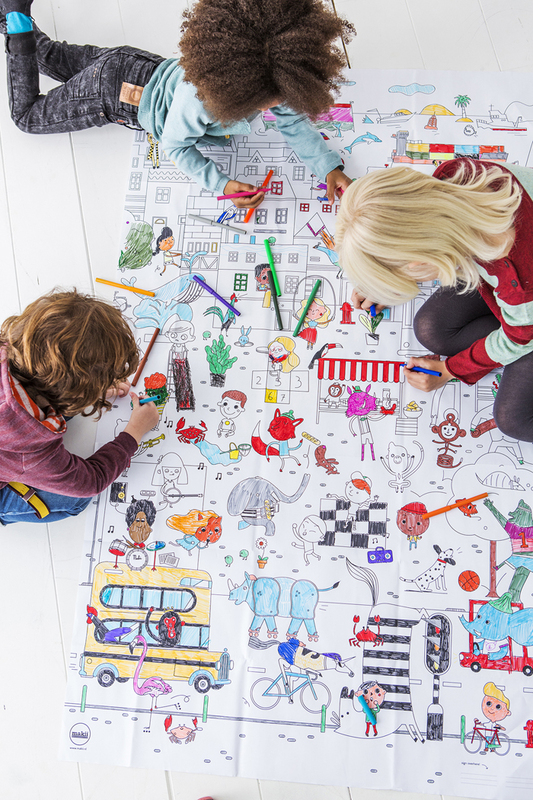 Racing, building, lying or rolling…kids love to play on the floor, don't they? Imagine it as a table in the middle of a room. 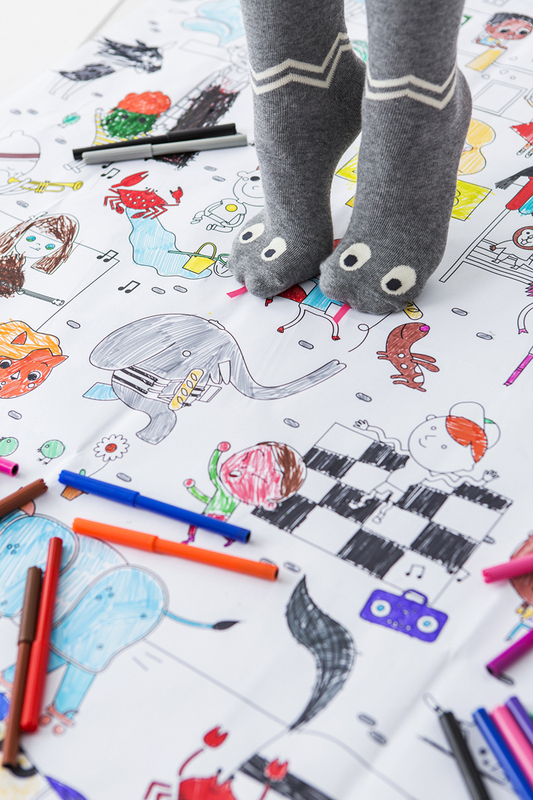 Your child can draw on it or use it for other favourite activities. Under the bench there is space to put baskets, boxes or little suitcase. It is of course easy to sit, and try to put your little shoes on. Or climb it to grab something from above. The bench can be used by older kids too. 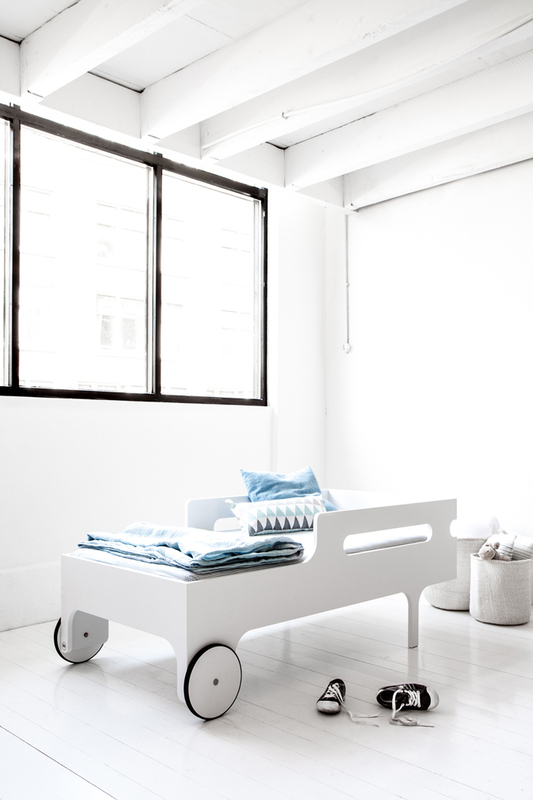 We see it as a side table next to A90 or A120 teen beds, just perfect to put magazines, books or clothes. and it is possible to use the benches with all of our furniture. 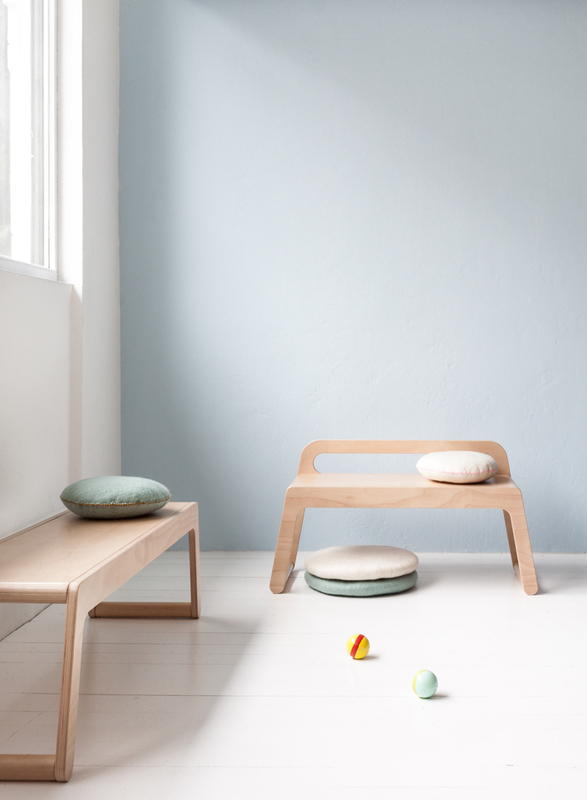 Simple design of this bench, makes this furniture perfect to use from early years into adultness. 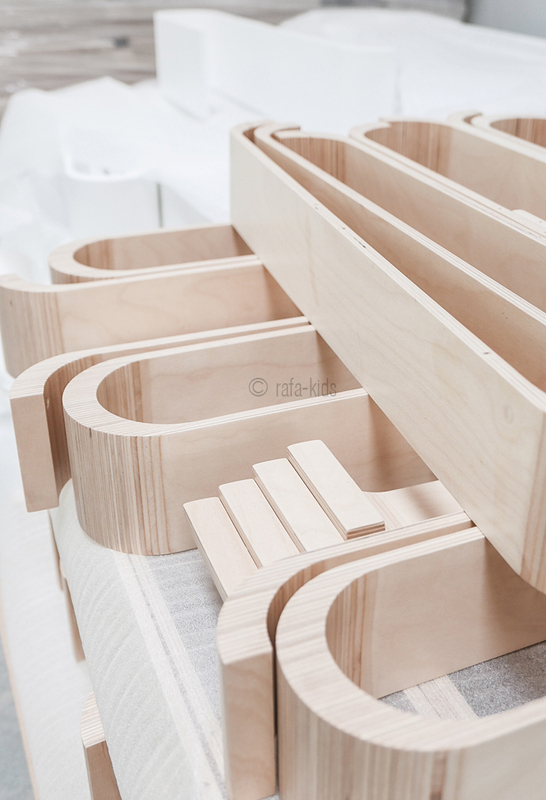 We are in the production phase, so the new benches are going to be available in September. Sometimes I think: ‘what a small world’ ….especially when I discover local designers and realise they almost walk the same street as I do. It happens to me with Jessica Nielsen and now also with other Rotterdam based, graphic design brand - Makii. 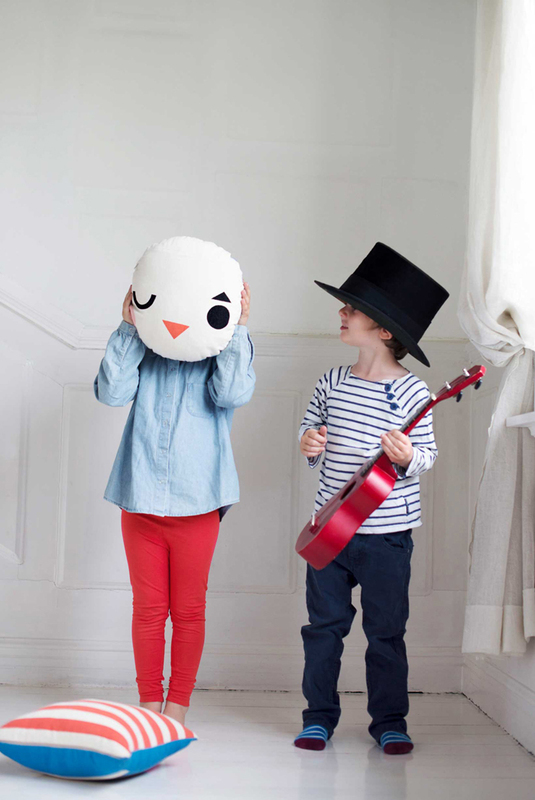 Already in 2013 illustrators Idris van Heffen en Mielo Pouwer started their brand called - Makii. Makkelijk in Dutch means - easy, and we often say to our kids , if something doesn’t need to much work,…..ohhhh this is “ makii ”, so I really like the name which is easy to remember. 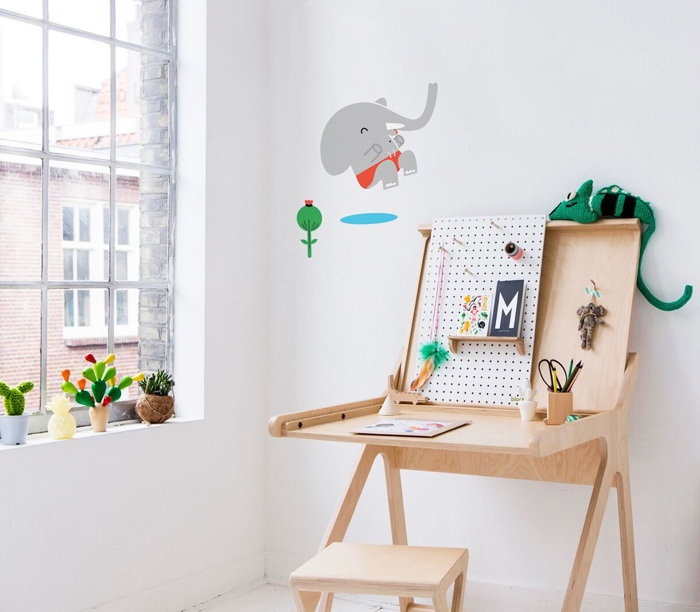 Makii strives to create fresh and creative products for children. 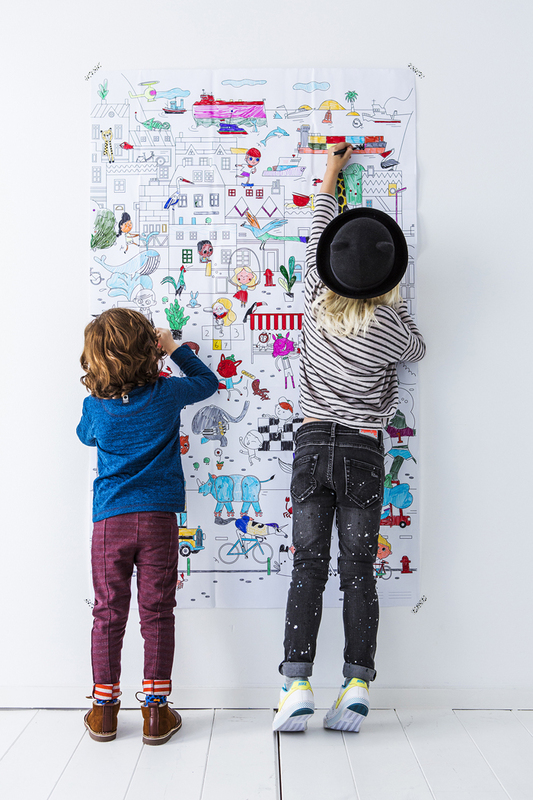 Their collection includes large colouring pages, wall stickers, posters and postcards. 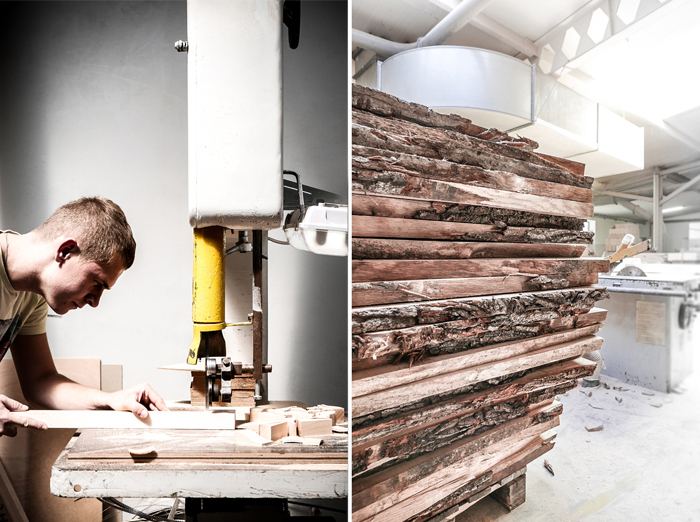 Few weeks ago we were exited to see our furniture taking part in a photoshoot for their new lookbook. 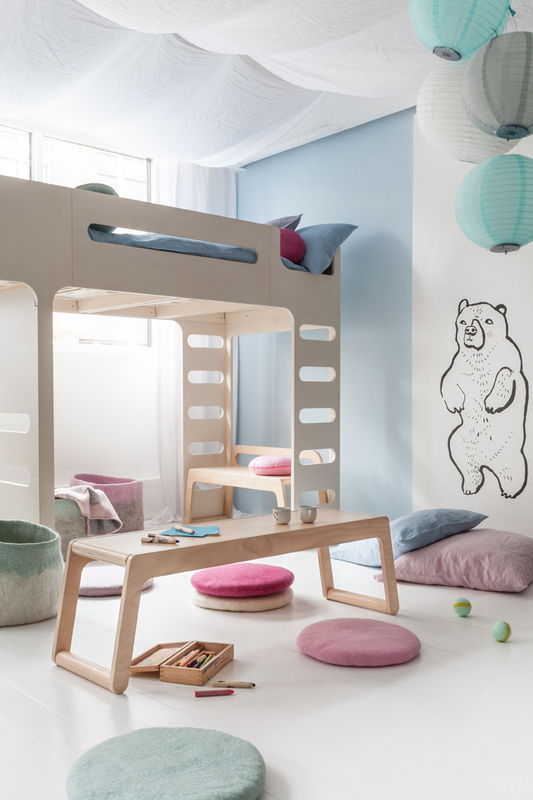 Rafa-kids A teen bed in white and K desk in natural finish were taken and beautifully styled by Cynthia Schrijver and photographed by Bart Brussee. The final pictures are very summery and fresh, don’t you think ? 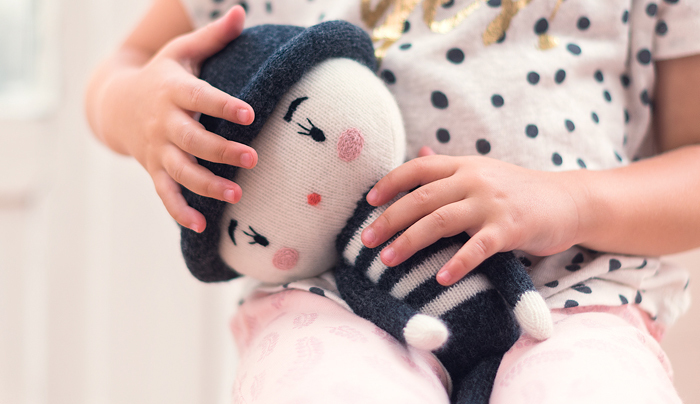 Please discover the beautiful new collection of charming and soft knitted toys designed and handmade by Laura. She was inspired by two different universes : the world of the Circus and the stories of mermaids and pirates. 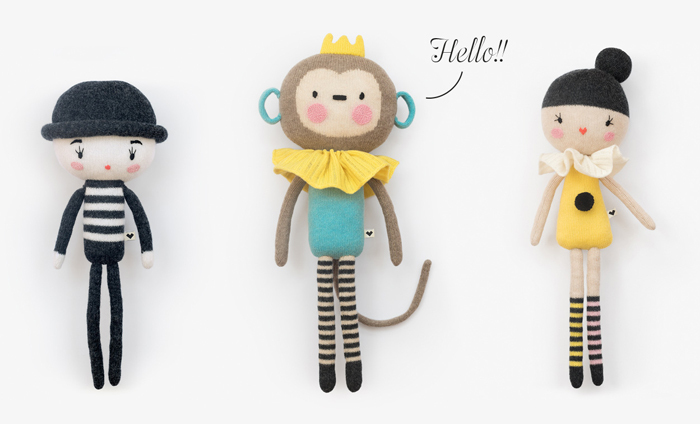 The little Gelsomina, the Zampano and Monking, sweet Isadora and cheerful Jack. 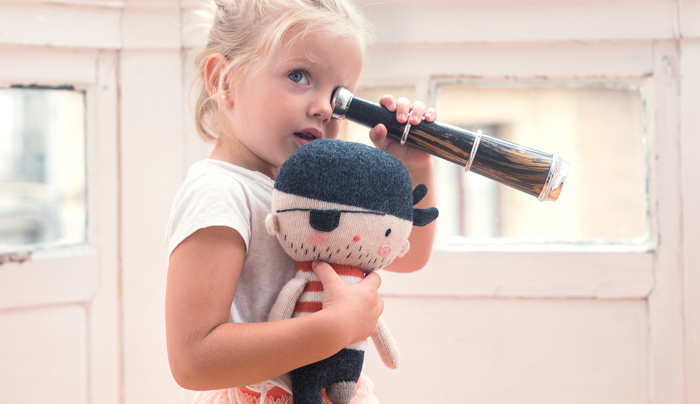 All the collection is carefully handmade, knitted with 100% lambswool and embroidered one by one. 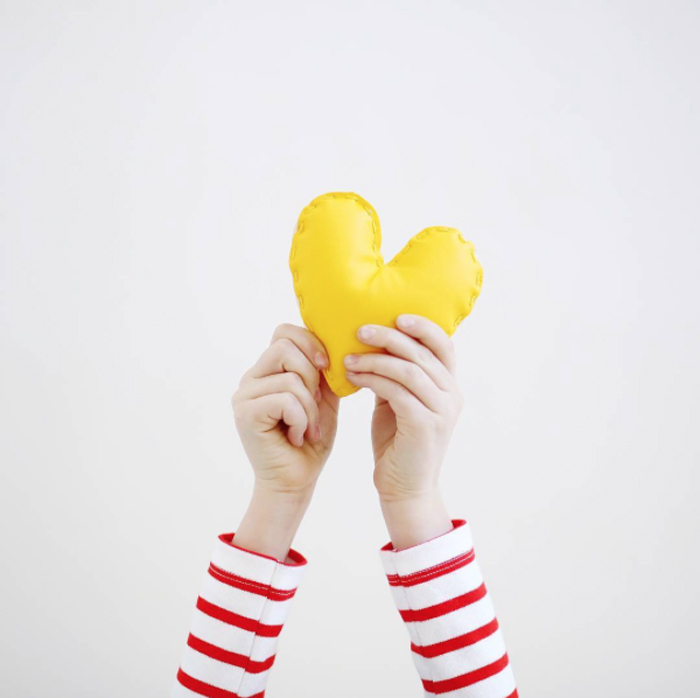 I’m glad I found Lauvely and that there are such a small brands around us which put so much care and attention to making unique products for our little ones. don’t you feel it ? I hope you are still here and would like to play with us? Let’s have some fun and do a simple Giveaway. 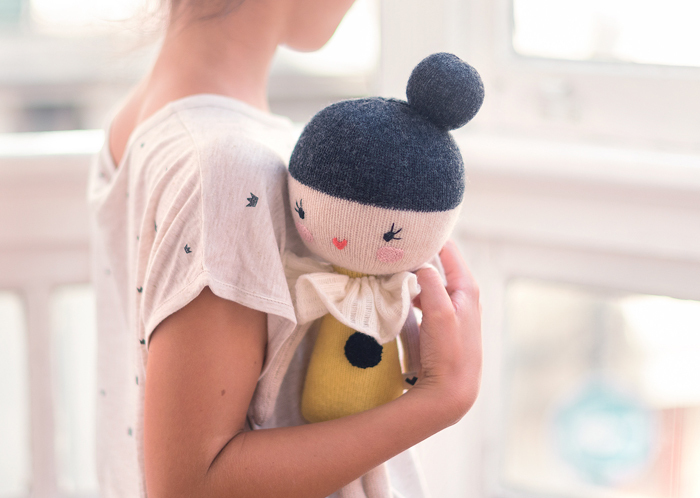 You can win this cute little pillow called Pantomime from our collection. Our giveaway is worldwide and is very simple to enter. Please visit Rafa-kids Instagram and leave a comment with question for Rafa-kids #askrafa. If you prefer to comment below this post it is also fine. 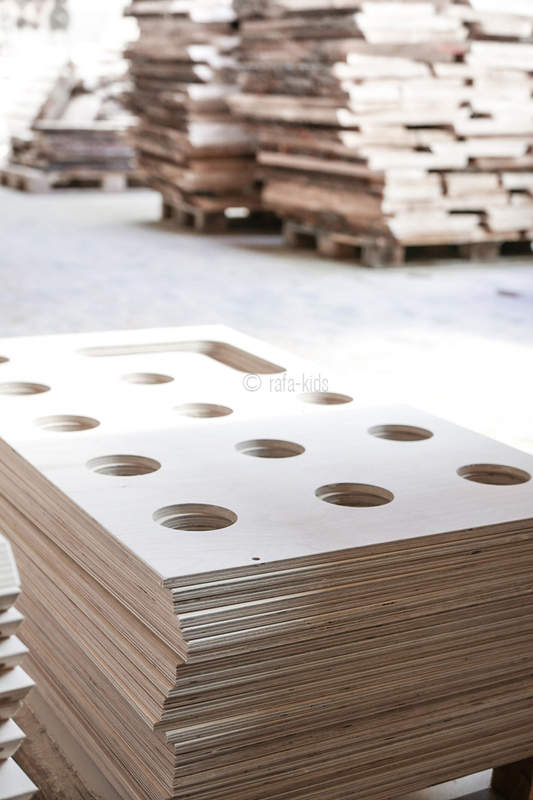 Would you like to know something special about Rafa-kids brand ? How we started or what inspires us? Perhaps would you like to know something about me, Agata? A person behind this blog? Well….I’m here for a small interview and will answer all your questions. 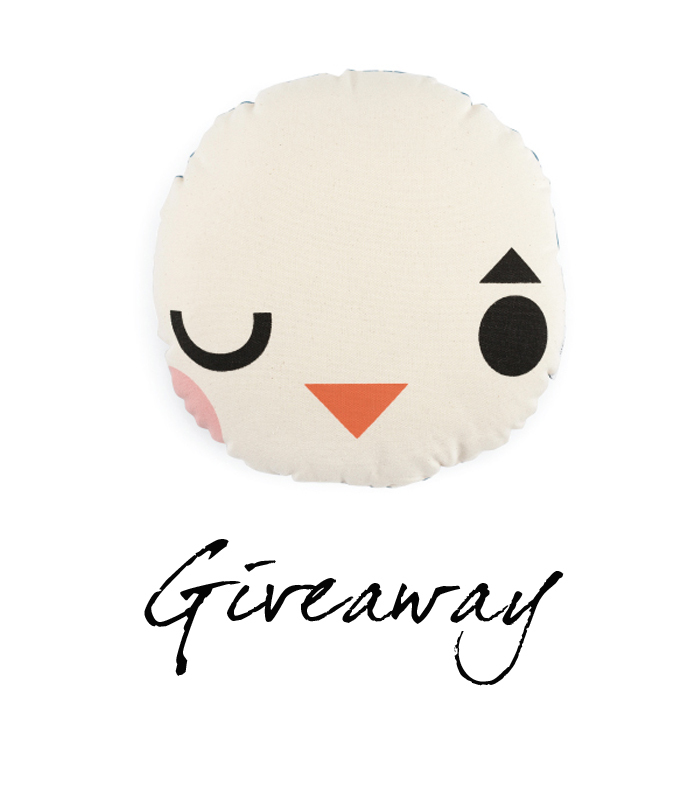 To thank you for your time and effort I will select 1, 2 or maybe even 3 people to get this little quirky pillow. Good luck! 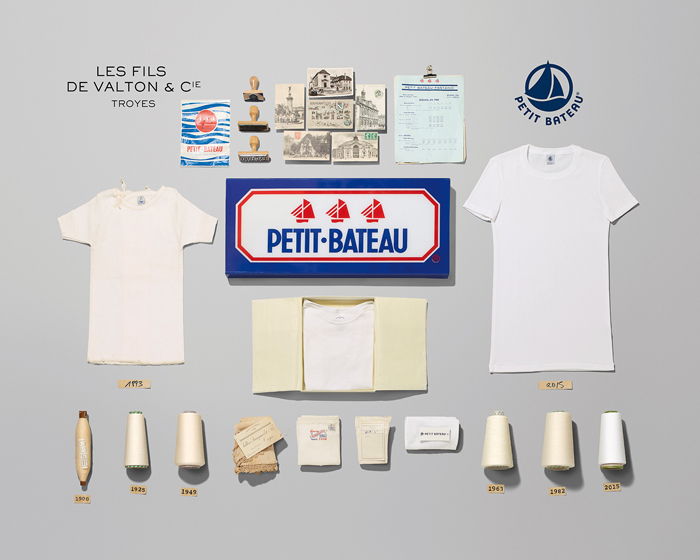 Can you imagine a company which is producing a basic cotton underwear for 120 years? 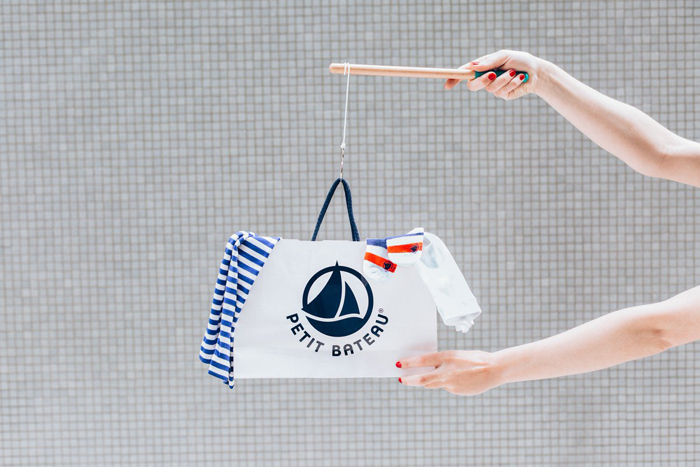 Well, HATS OFF - here comes French Petit-bateau. Late congratulations to this amazing brand, because in April 2016 they had celebrated their over 100 years in the making of clothes. Their production still takes place in Troyes France, the hometown of the company. We have to imagine, that many things changed and evaluated in all this years, an there were up and downs for sure. 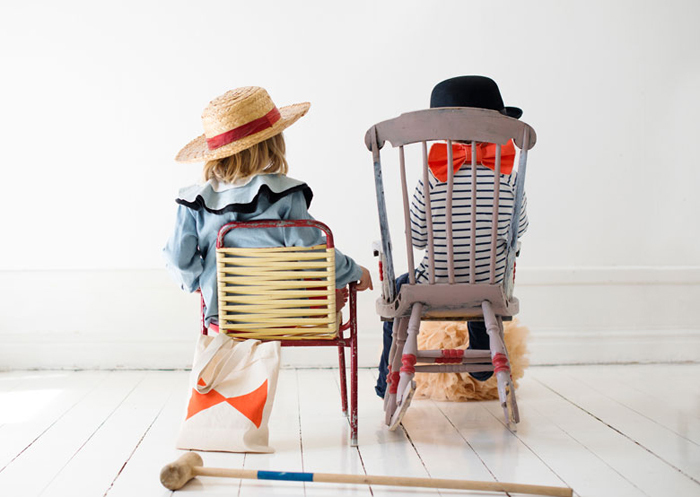 From an only for children brand, they now serve a truly multigenerational garments for adults, children and babies. 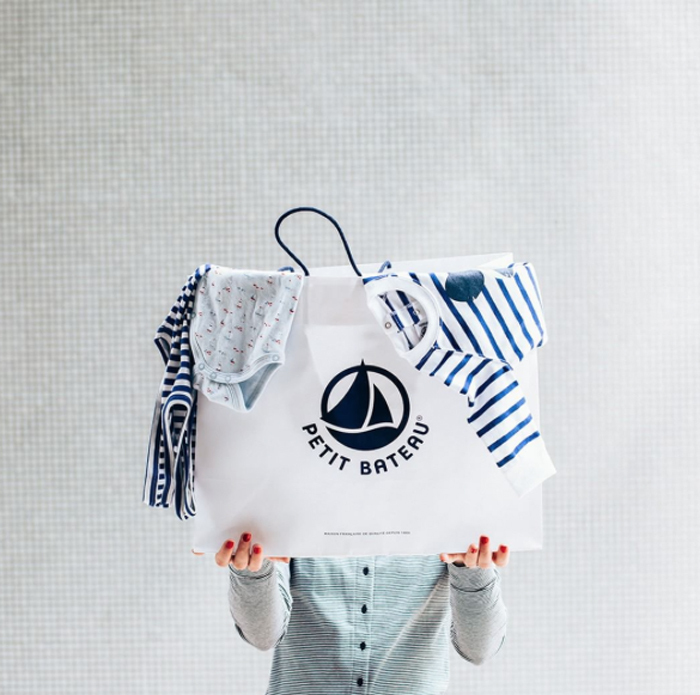 Petit-bateau new store concept and identity is taken from bold colours of the brand’s origins – to the pure white of the cotton fabric combined with the midnight blue of the sea. White was put at the heart of all the brand’s communications such as the logo, stores and packaging materials. I absolutely adore their chic aesthetic, using the finest quality cotton to create timeless staples. From the famous yellow raincoat and soft knitwear to classic breton. 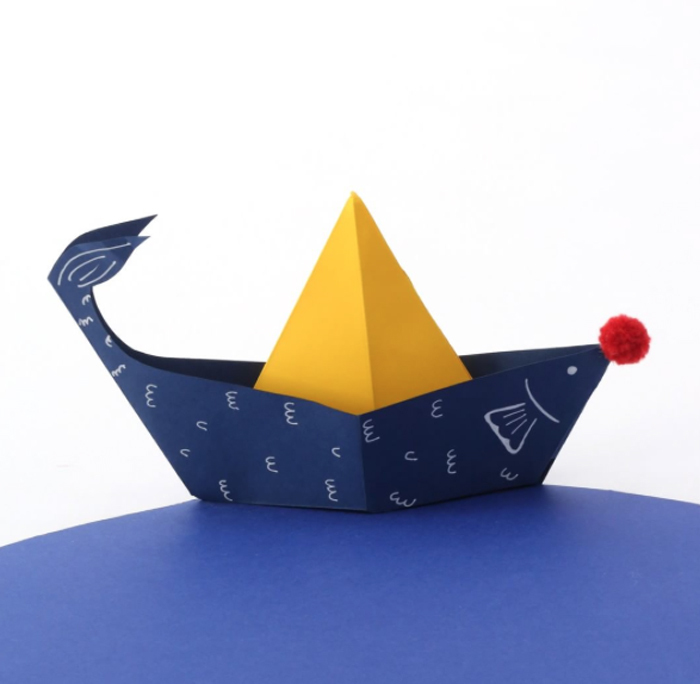 Petit-bateau. defiantly know how to bring the basic style into so much fun and enjoyment! and did you know? 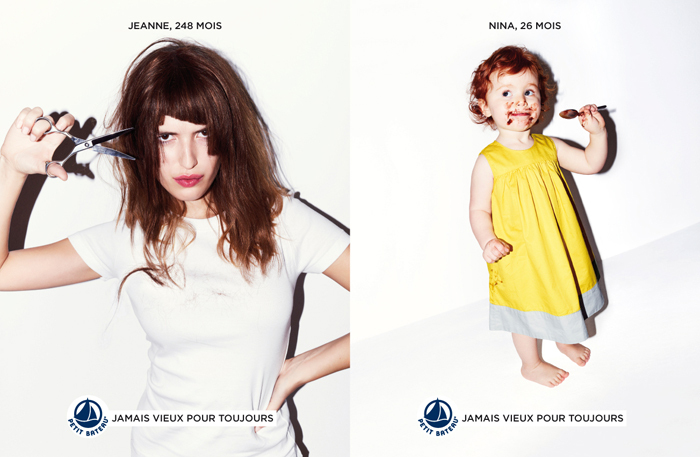 “ In 1994, Petit Bateau becomes a fashionable brand thanks to the fashion designer Karl Lagerfeld. Indeed for a fashion show, he dressed the model Claudia Schiffer with a Petit Bateau T-shirt under a Chanel suit. So a lot of women went to the stores to buy these T-shirts originally created for children.